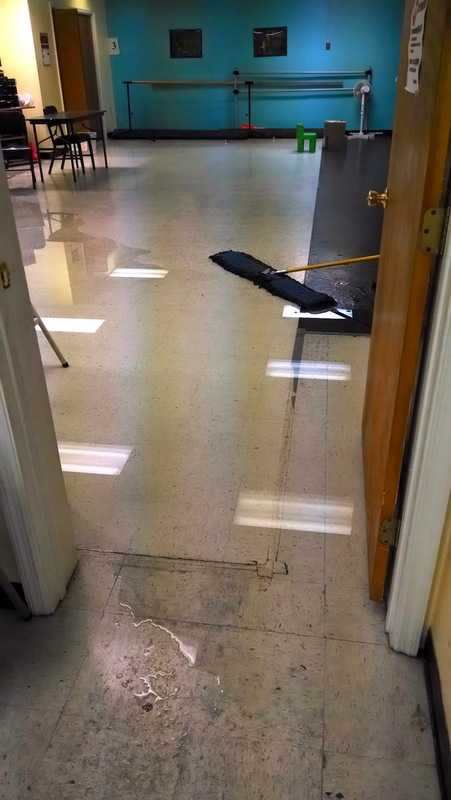 So the first task in the New Space, was to connect the new space to the old space. 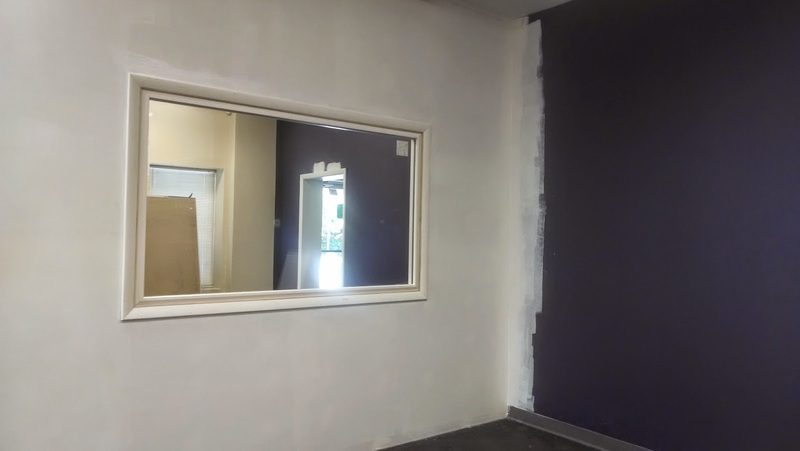 So I began renting the space in June with the very, very VERY optimistic goal (did I mention VERY optimistic) of having it ready in time for July summer classes. 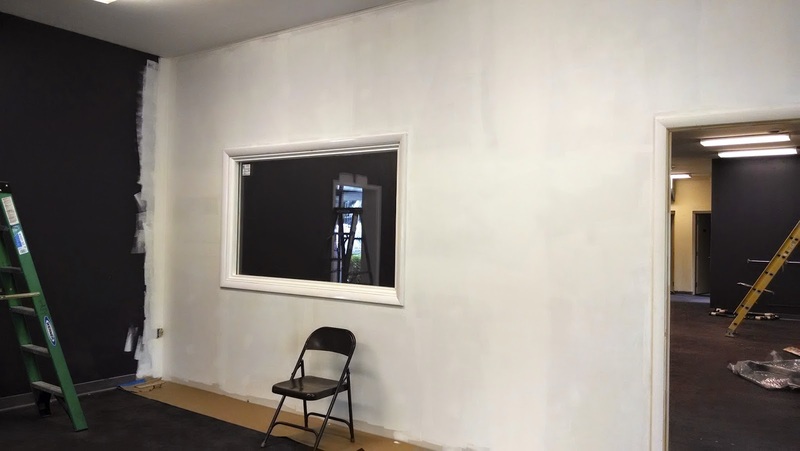 My contractor and I went over what I wanted and he gave suggestions and little tweaks that made more sense with things like electrical outlets and windows and building code. And then on June 2 (five days before our end of year recital) the work began! 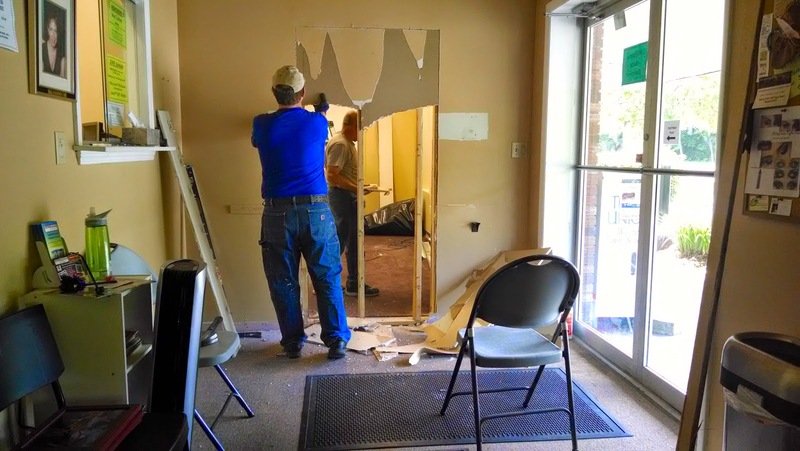 It was amazing how quickly the wall went up – they framed it out and had the sheetrock up in no time. The hole is for the observation window eventually. 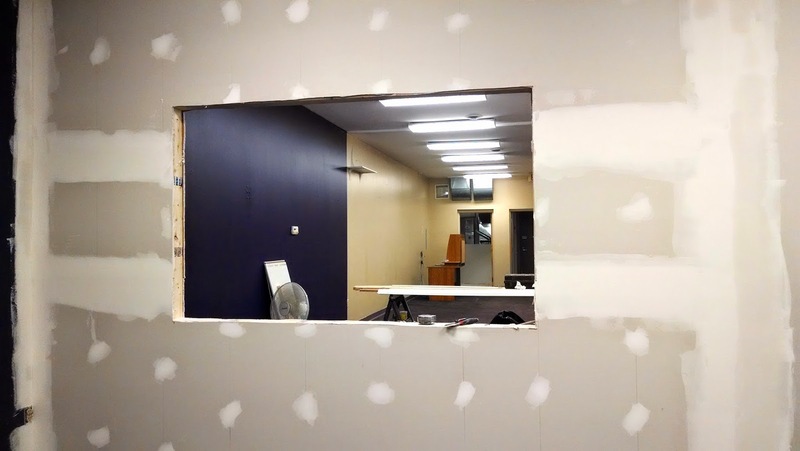 Looking through the “window” into the dance room. 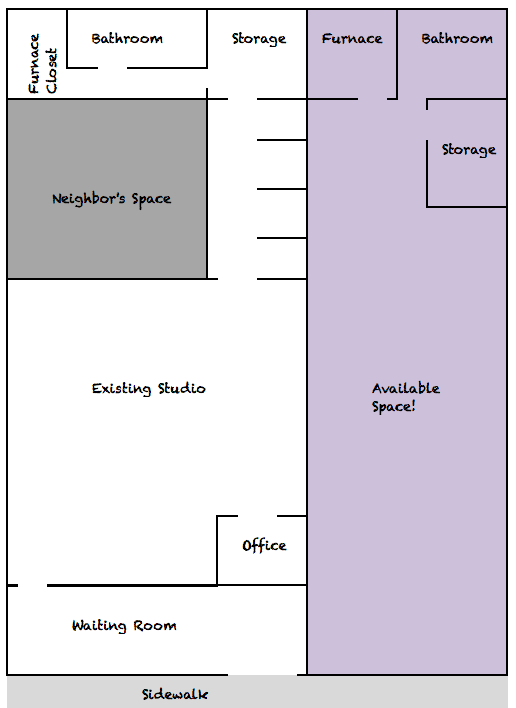 And connecting the two space (new space is purple, existing studio is beige). Ahhh! I don’t know why, but when I saw this, I started getting super excited! It’s real, it’s real! Looking back through at the narrow waiting room. So that was pretty much it with the professional help other than the mirrors and window installation, the rest is on me and my husband! Summer moving, havin’ a bla-a-ast! Summer? In October? Ok, its been a crazy last few months – but I finally have had some time to write about my summer adventures! Hope you are all having a wonderful start to your school years – I’ve missed blogging and am happy to get back to it. 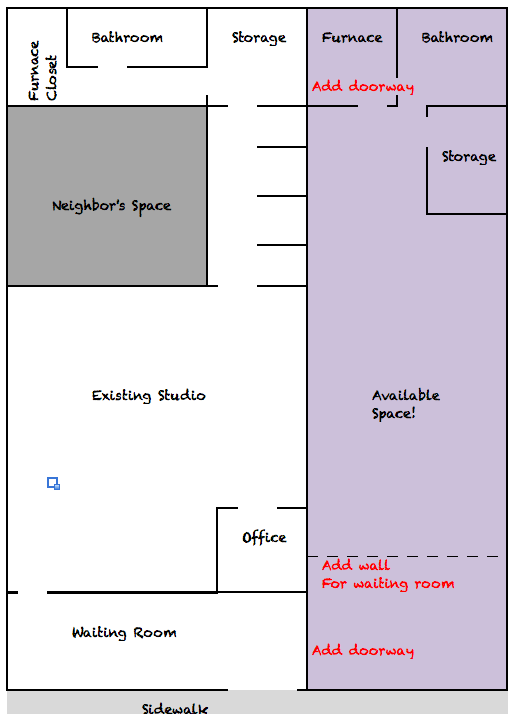 A little background – I have two studio locations, with the smaller location having one dance room. We are in a strip of businesses and we are currently the second-to-last unit from the end. 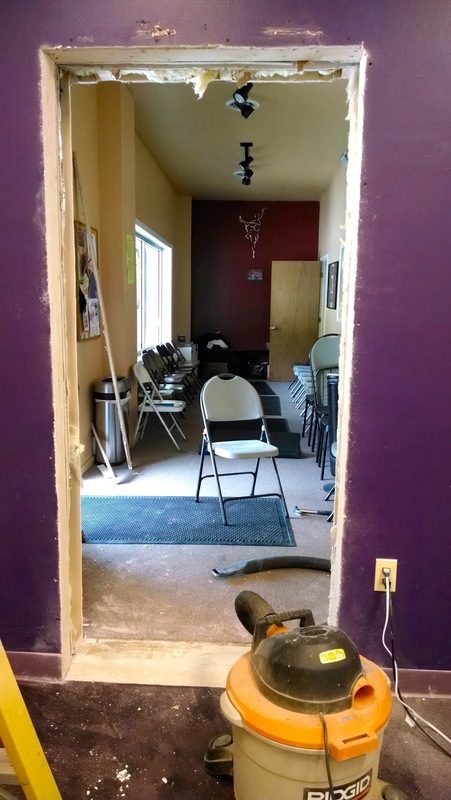 The last unit on our end used to be rented by a Curves (workout for women), but the owner decided to move on and the space went up for lease last January. It sat vacant for a few months and I looked at the space, did some calculations, negotiated the price and by June, we were in contract! It may sound like I jumped in quickly, but in reality, I tried to make sure it was a smart decision, talked it over with just about everyone I could think of who could give me some perspective and triple-checked my break-even calculations. That is standing in the front of the building, looking towards the back. The doorways back there lead to a utility closet (furnace / AC units) and bathroom. And here is standing in the back by the bathroom and looking at the front. 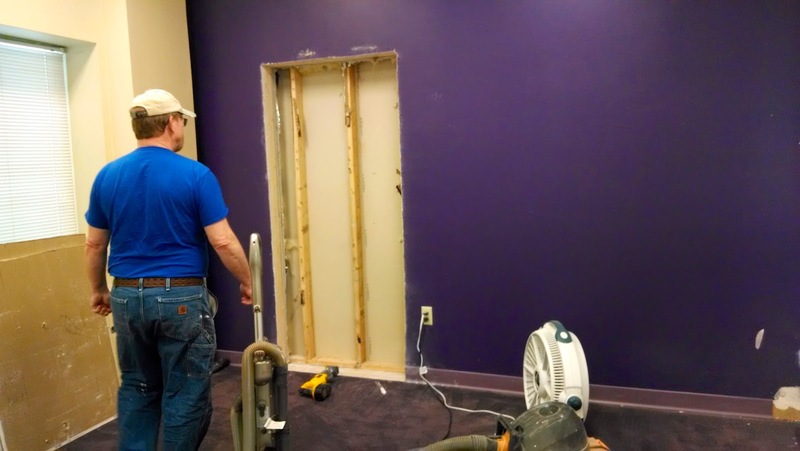 Our existing space is to the right (“through” the purple wall). Windows look out onto the sidewalk and parking lot and there is an exterior door to the left. Also strangely located air conditioner to the left and yellow ladder, which did not come with the space, much to my husband’s disappointment. 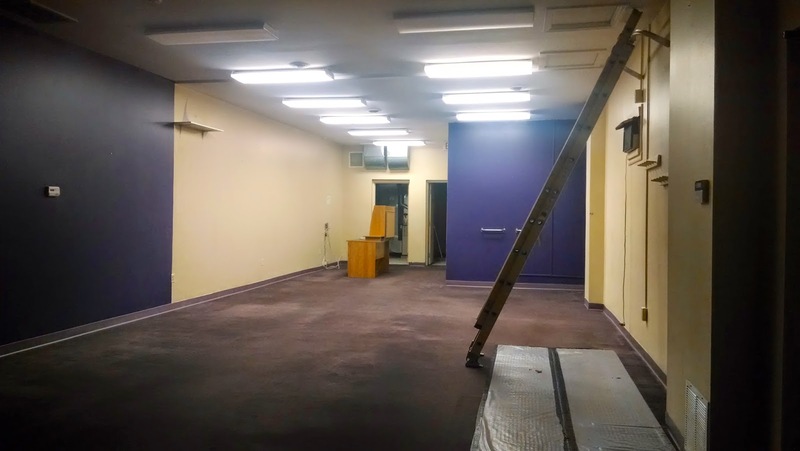 So as you can see, the purple Curves space is a loooong room, but with a lot of potential! And a lot of PURPLE. 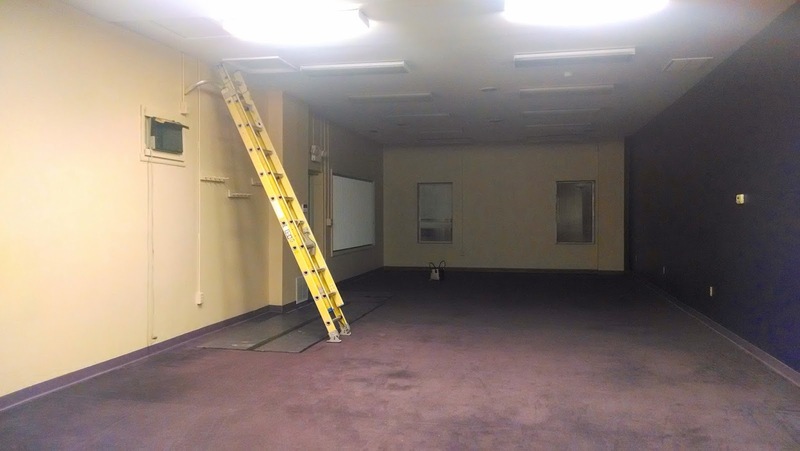 Purple walls, purple trim, purple rug. What’s hard to see in the photos is that the ceilings are actually 10′ tall – which is awesome! 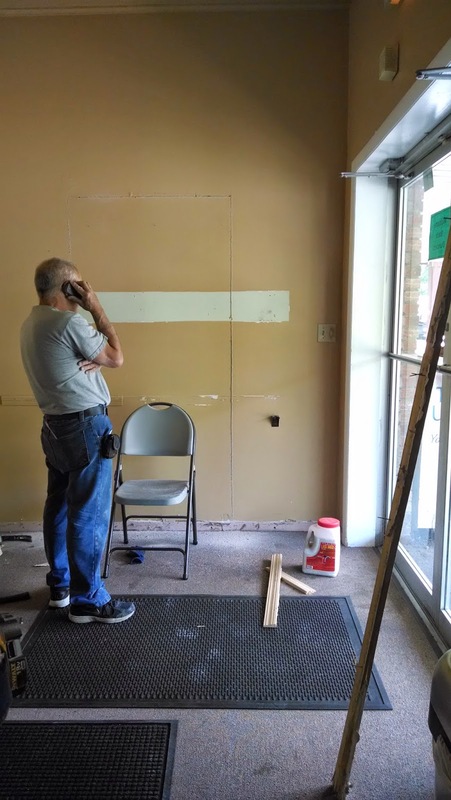 1) Divide the space and create a waiting area – one of the biggest struggles of our existing space was the waiting room was very narrow and small. It was impossible for anyone with a stroller to enter and would be crazy when one class was leaving and another arriving. I wanted to make the new waiting room a little bit deeper to help fix this problem. 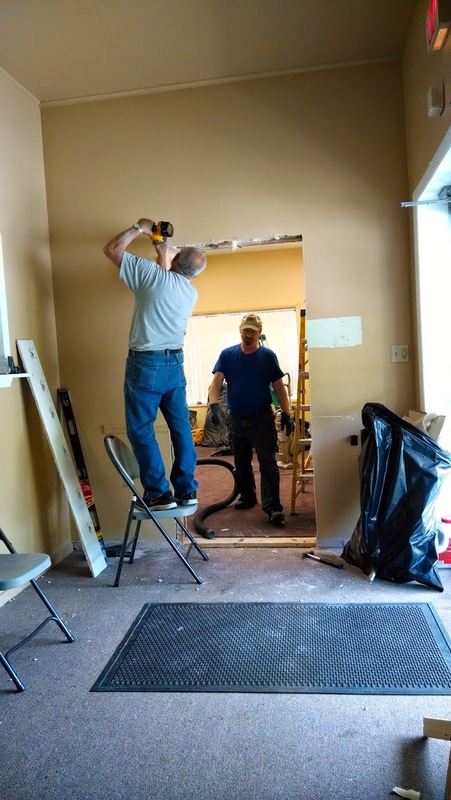 2) Adding connecting doorways – we needed to connect the two spaces together, by joining the waiting rooms and in another spot. 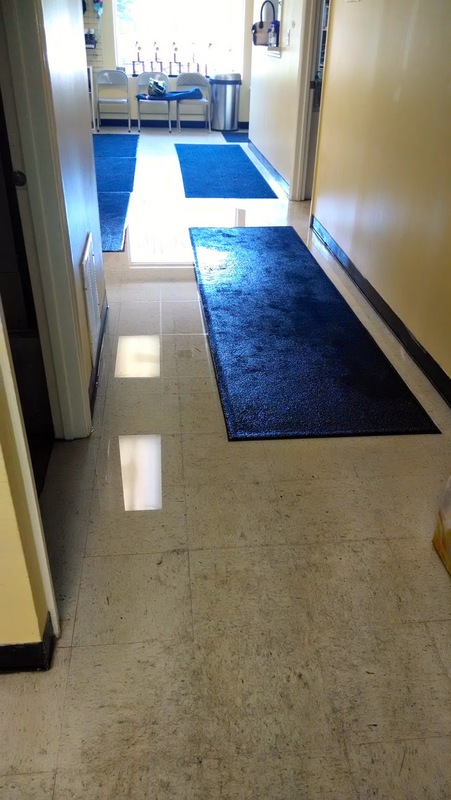 In the waiting room, I wanted an open doorway to make the rooms feel very open and encourage overflow from the narrow waiting room into the larger one. 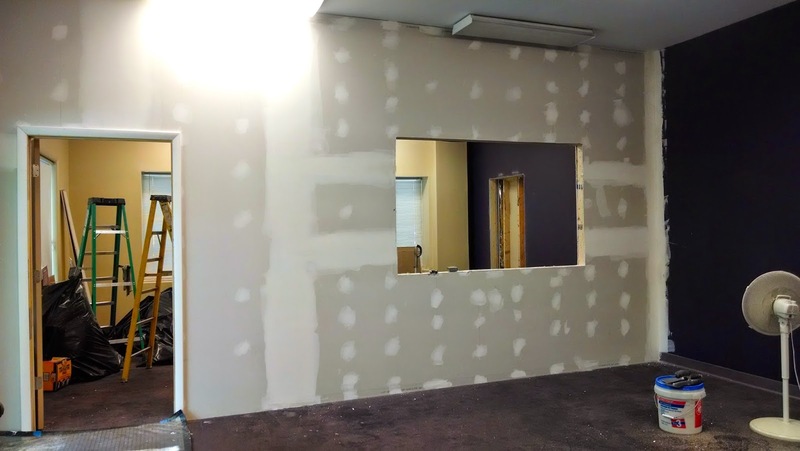 I also wanted to a door connecting the two studios, but <SPOILER ALERT> apparently the wall between the two studios was filled with bricks?! My contractor found this to be annoying and confusing (as did I). 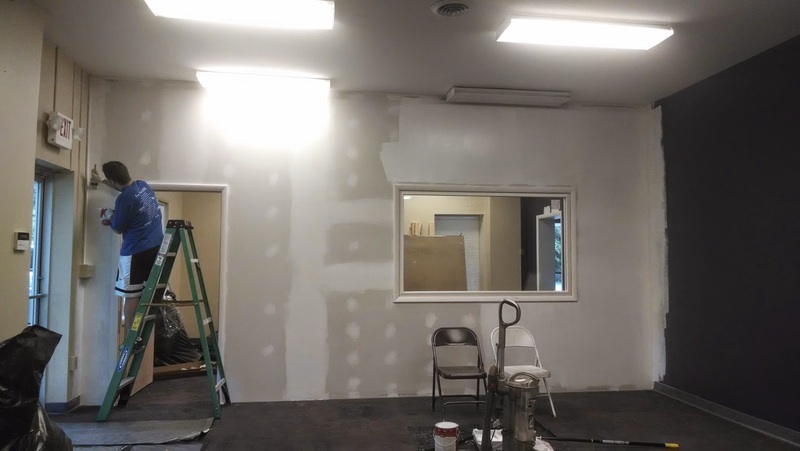 The only other place that had just sheetrock separating the two spaces was all the way in the back through the furnace closet. Not ideal, but as Tim Gunn says, we made it work. 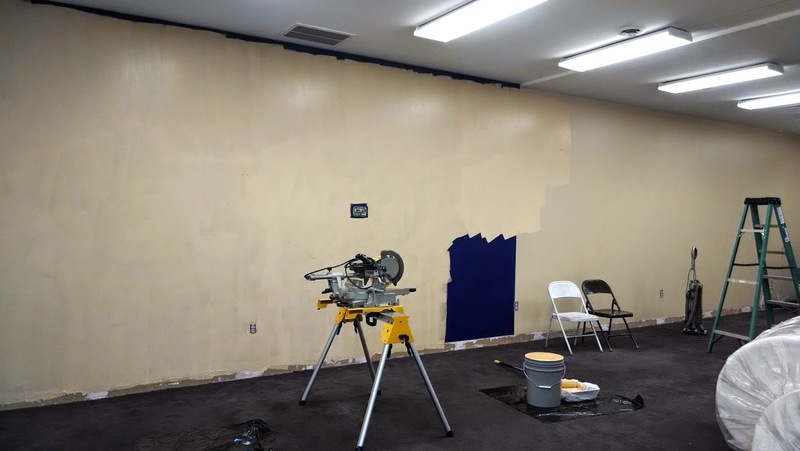 I know you are anxious for beautiful before and after photos, which I PROMISE will happen, but in another post! 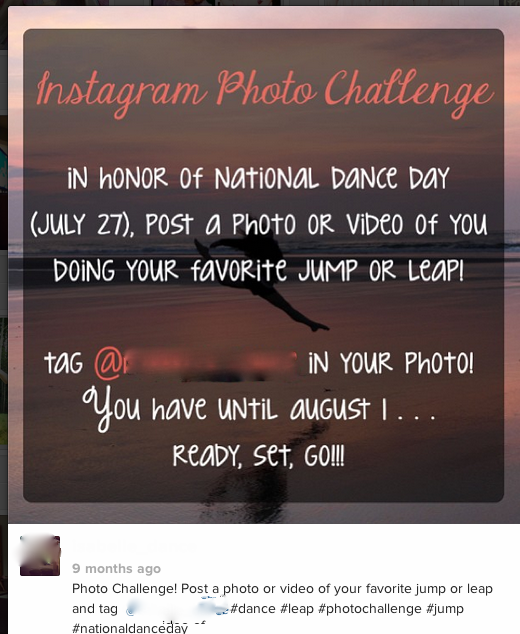 Is your dance studio or company on Instagram? Scared to take the leap? 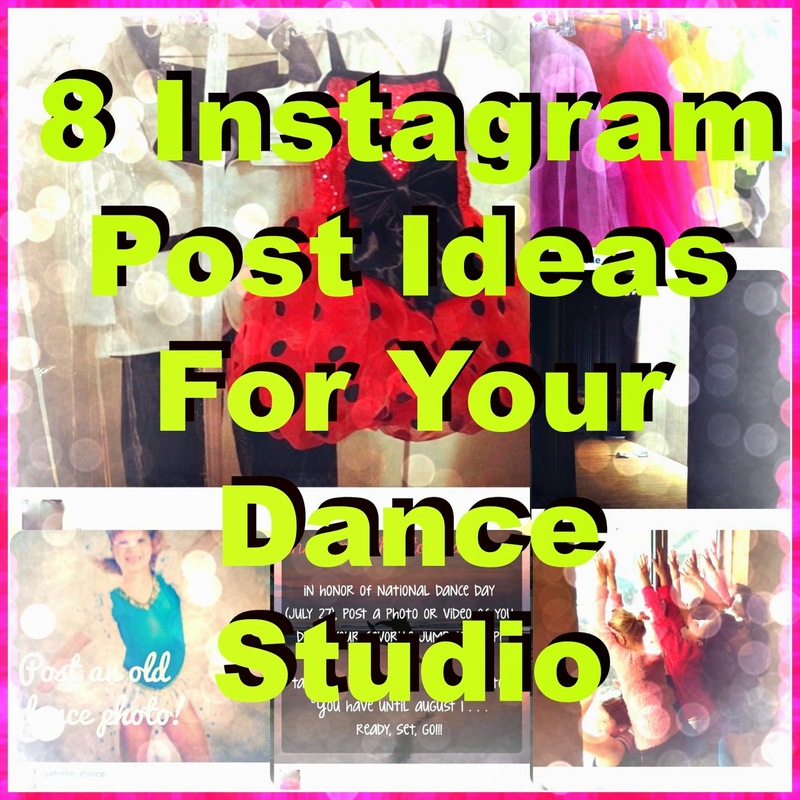 (dance pun intended) Here’s a few tips on how to get started and what to post. Don’t worry about posting daily – in fact, if you post too many times a day, you may annoy your followers. It seems like the sweet spot is once a day to a few times a week. For my studio, I end up posting on average 3-4 times a week unless I’m running a contest or it’s a big event for the studio (recital or competition weekend, for example). Ok, so now you’ve made an Instagram account… what do you post? 1. Your dancers: The most obvious is to post images and videos of your students dancing! Be sure to mix it up – some of the cute babies in class mixed in with your best students along with some great action shots from performances. 2. 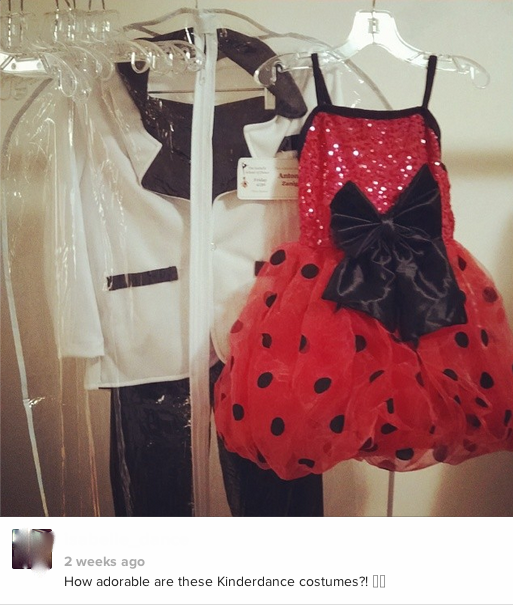 Behind the scenes: Making costumes? Folding programs? Hanging the backdrop for the show? 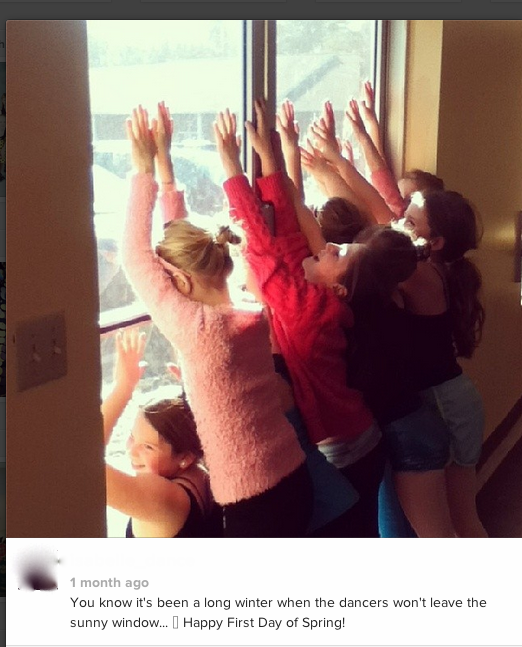 My students and parents love to see the “behind the scenes” photos. 3. Class videos: This is a great way to expose potential students to the different class types. Post a short clip of your newest class offering to show students what that class might be like. 4. Hold a contest or photo challenge: I like to hold contests during school breaks because it gives the kids something to do and keeps them thinking about dance. Our most recent one was “Spring Break Photo Contest” and dancers had to post a photo of themselves dancing on Spring Break. We got a lot of fun pictures back that we shared in-studio and on Facebook. Make sure to use a hashtag for your contest (#ABCstudio). 5. Dance education: Post a photo of a famous dancer and have your followers guess who it is. Share photos of famous ballets and dance companies. 6. Motivation & inspirational quotes: I like to post these every so often. I find a lot of them on Pinterest. 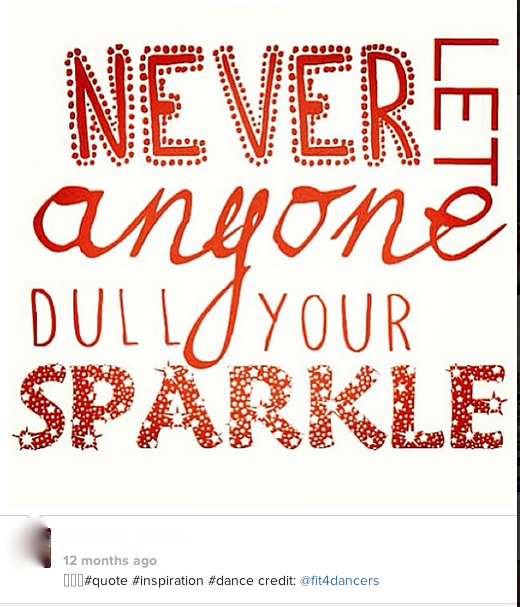 Instagram Etiquette Tip: If you borrow someone’s quote, play nice and credit them. #TBT or #FBF – (Throwback Thursday & Flashback Friday) – post an older photo from months or years ago. These posts usually get the most “likes” on our studio Instagram. Make up your own! What about #musicmonday and post some songs from the upcoming performance? Or #flexibilityfridays and showcase some tips on how to get more flexible. 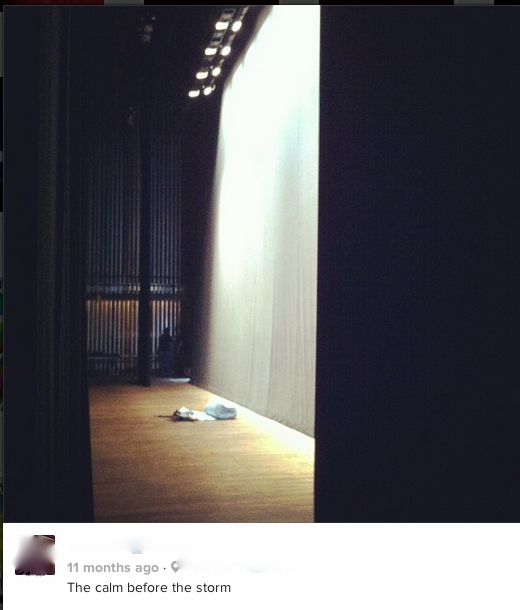 Check out this great idea from Maria’s Movers on creating a hashtag for your performances. Some more hashtag ideas from Dance Spirit. 8. Integrate your posts with Facebook and Twitter: Instagram makes it easy to connect your account to your Twitter and Facebook accounts and you can share the same posts on all three social media sites at one time. Follow The Dance Buzz on Instagram! Do you use Instagram? What tips can you share about posting photos and videos? What are your favorite photos to see? What gets the most likes? 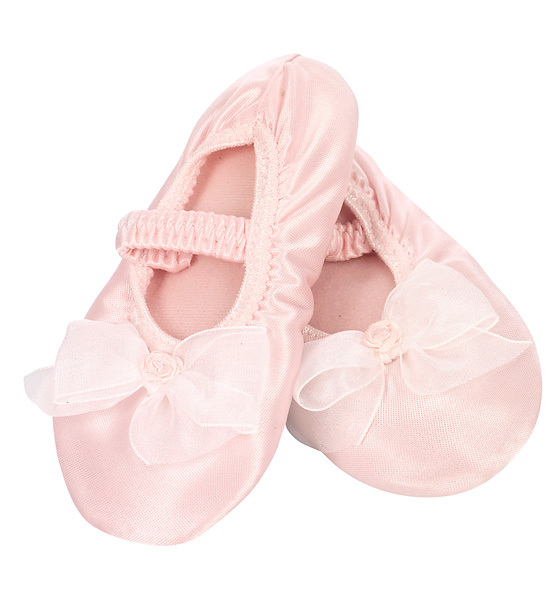 The super soft fake satin ballet “slippers” they unfortunately sell next to dancewear at Target and Walmart. 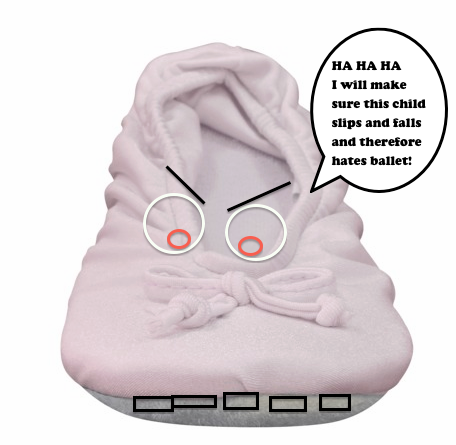 Every preschool teacher’s nightmare. 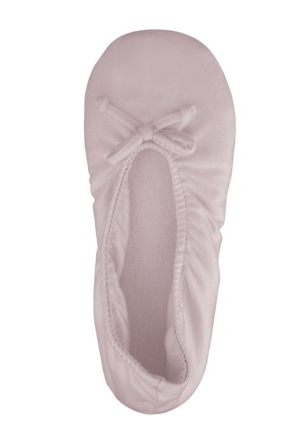 They fall off feet, cause dancers to trip and fall and are simply not suited for a dance class. But they truly are annoying and I cringe every time I see a parent proudly whip them out of a dance bag… usually just a case of being mis-informed. AHHHHH! Eh tu, Discount Dance? 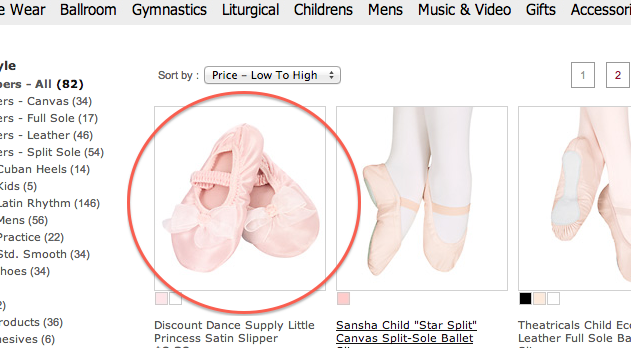 I mean, I understand that Target and Walmart might not care if the bedroom slippers they are passing off as ballet shoes aren’t ACTUAL ballet slippers, but Discount Dance should have SOME shred of integrity when it comes to shoes that are listed under the “Ballet” category! Whyyyyyy?? The only use for this shoe is as a decoration! Ok… rant over. I feel better now.